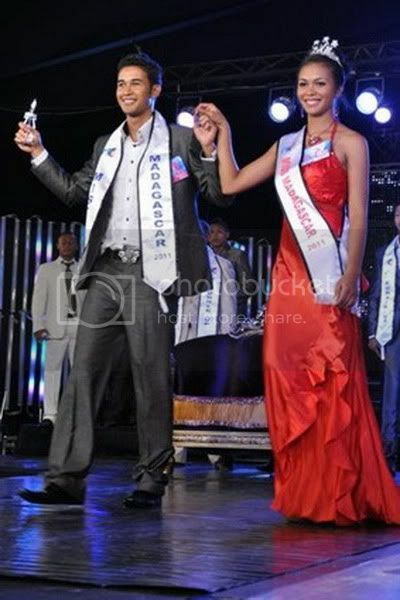 18 year old Miando Ratsimiahotrarivo from Antsirabe was crowned as the new Miss Madagascar 2011 during the RTA Mister and Miss Madagascar 2011 beauty pageant held on May 9 at the RTA Dome Ankorondrano in Antananrivo. Miando Ratsimiahotrarivo stands 1.75m tall and is a pageant veteran. She was Miss Gallo 2007, at the age of fourteen. She recently graduated from her high school in Antsirabe and plans to attend university. She will represent Madagascar at Miss Earth 2011 pageant to be held in Pattaya, Thailand on December 3. The 1st run-up was Rosia Raharitiana from Mahajanga, And the 2nd run-up was Ando Randriamanantsara from Tulear.